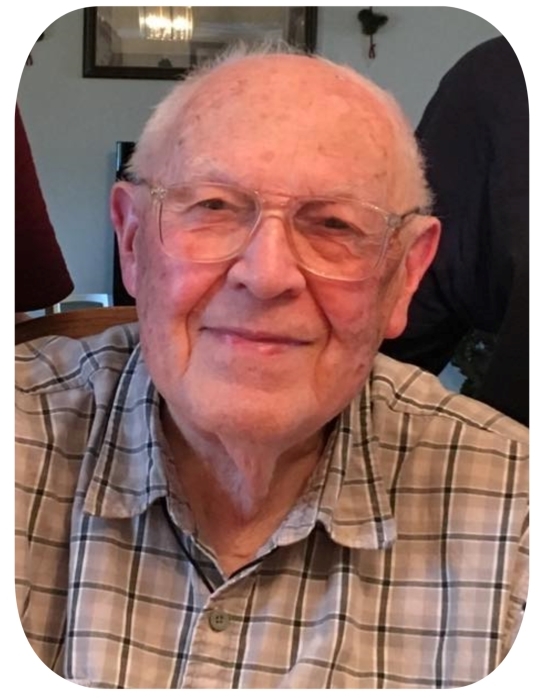 Donald Arthur Roy Kinyon, age 89, of Guttenberg, IA, died Monday, January 28, 2019, at Guttenberg Municipal Hospital in Guttenberg, IA. He was born the only son of LeRoy and Dorothy (Friedlein) Kinyon on November 22nd, 1929 in Guttenberg, IA in the house of his grandparents. It was this same house to which he and his wife would later retire. On March 12, 1949 Donald married his high school sweetheart, Nedra Ione Harris, in Fairfield Iowa while he was enlisted in the United States Air Force and to this union they were blessed with three children. One of his earliest employers after his time in the Air Force was Lacey-Keosauqua State Park where he and his new bride lived in a one-room gatehouse. Don's true passion in life, though, was his calling to preach the gospel of Christ. He spent approximately 40 years as a minister of the church of Christ in numerous congregations in Iowa including Mason City and Muscatine. Don was always said to be a very passionate man. He loved God and all of his people. He tried to inspire everyone he met through the words that he spoke whether they be God’s word or with a simple conversation. The gospel of Christ was always at the forefront of his life and conversation and he looked for opportunities to share this. He was an avid and vocal Iowa Hawkeye fan and also found joy in fishing in his younger years with his children on the Mississippi River and various other locations around the area. Don loved spending time with his grandchildren and always felt that he had built a special rapport with them over the years. Christmas at the Kinyon's was an annual tradition and created so many fun and precious memories. Left to cherish Don’s memories are his sister Lana Annis of Casa Grande, AZ, his three children: Pam Lake of Salem, MO, Steve (Laura) Kinyon of Muscatine, IA, and John Kinyon of Omaha NE., 11 Grandchildren and 18 Great-grandchildren and many nieces, nephews, relatives and friends. Don is preceded in death by his parents, infant sister Kay, wife Nedra, brother-in-law Butch Annis, two sons-in-law and one daughter-in-law. Reception to follow the Committal Service at the Guttenberg Municipal Building. All are Welcome.